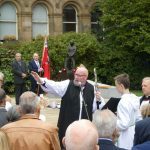 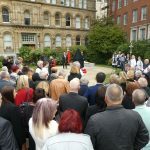 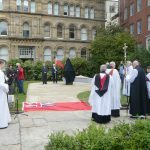 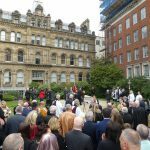 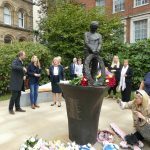 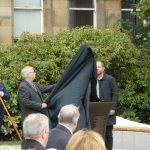 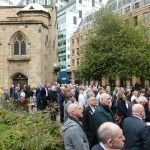 On Saturday 15th September, at Liverpool Parish Church, over 450 people attended a ceremony to mark the unveiling of a memorial garden and sculpture, to commemorate the 44 people lost when the MV Derbyshire sank in 1980. dot-art was honoured to be involved in the creation of this new, permanent piece of public art. 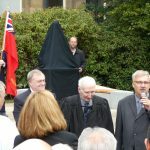 MV Derbyshire was oil-bulk-ore carrier launched in 1975 and originally called the Liverpool Bridge. 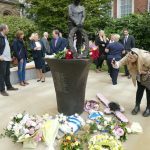 She was owned by Bibby Line and registered at Liverpool. 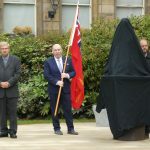 On July 11th 1980 she left Canada, sailing to Japan, carrying over 157000 tonnes of Iron Ore. On September 9th 1980 she hove to in a tropical storm, Typhoon Orchid, but was overwhelmed. 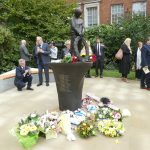 With no time to send a distress message, she went down with the loss of forty four lives; forty two crew and two wives. 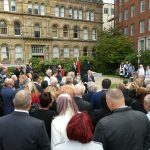 In 1983, the Derbyshire Family Association was formed and in 1994, during moves initiated by the association and its supporters, the ship was found, resulting in the reopening of the formal investigation inot the loss of the vessel. 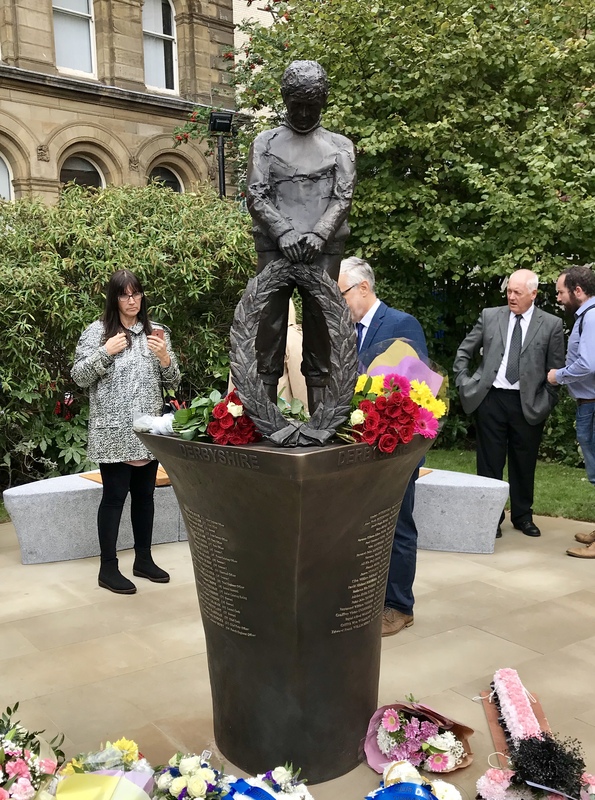 In the public report published in 2000, the court recommended twenty-two safety enhancing measures which, if history is to be our guide, will have already preserved many lives.  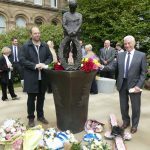 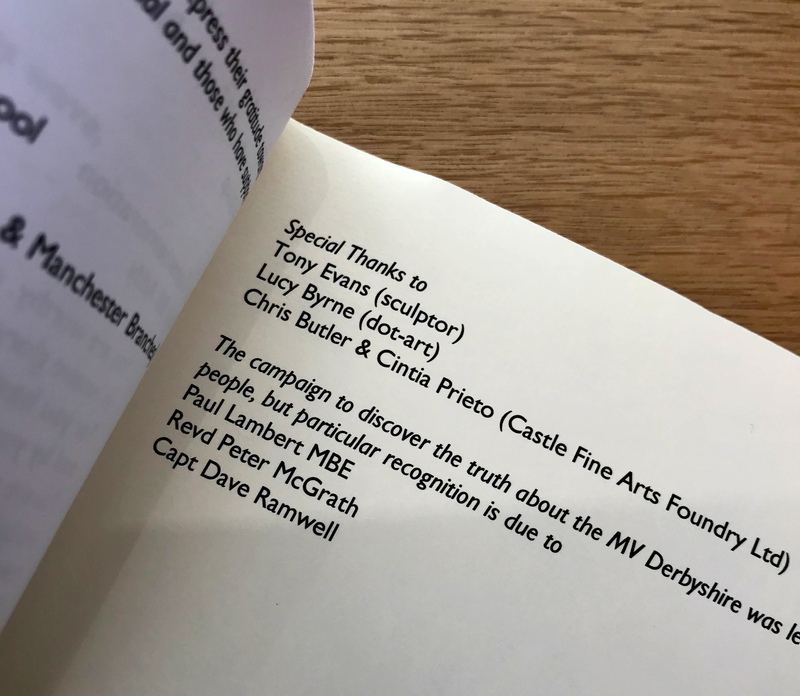 In 2015, dot-art was approached by Paul Lambert and Peter McGrath of the Derbyshire Family Association to help them source an artist and a location for a long hoped for memorial sculpture. 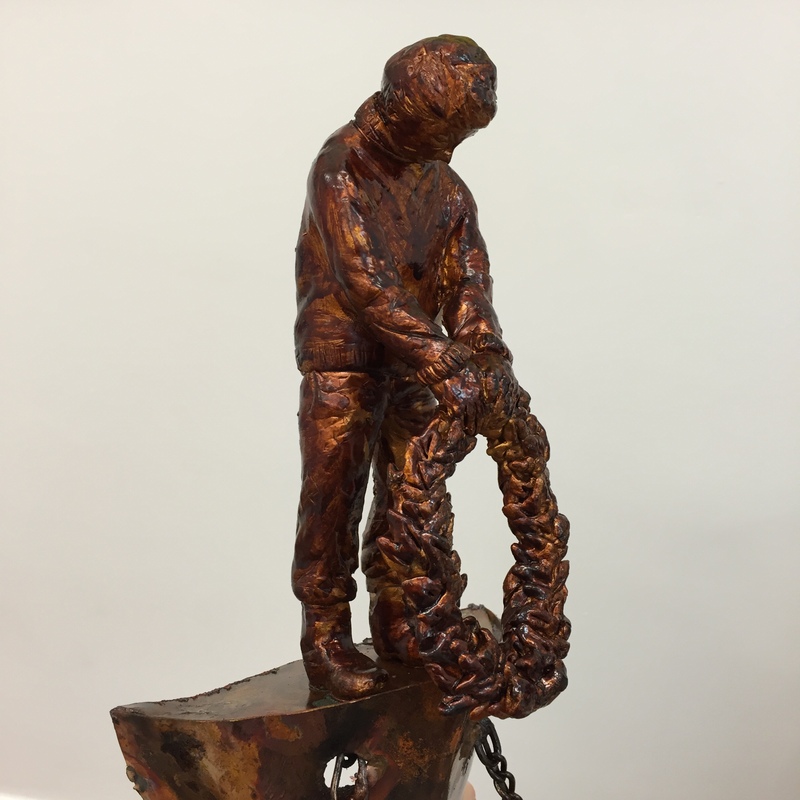 Artist and dot-art Member Tony Evans was selected and produced a design which was to be produced in bronze and form a fitting and lasting tribute to those lost. 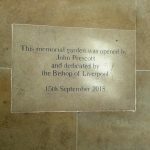 Once the design had been finalised, everyone was delighted when Liverpool Parish Church not only agreed to play host to the sculpture, but to create a memorial garden around it, including new paving, bespoke bench and set of 44 individual stones, carved with the initials of the people who died when the ship was lost. 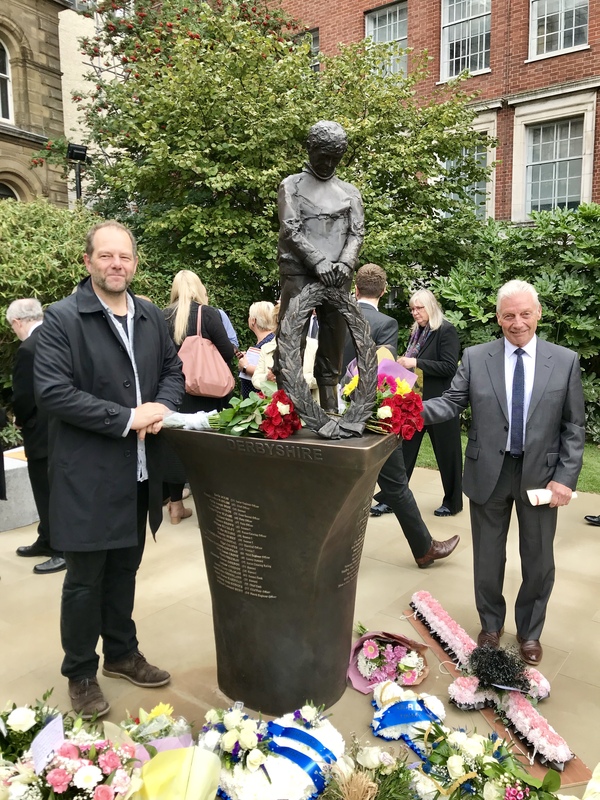 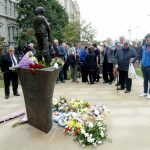 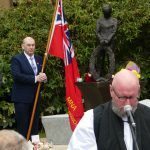 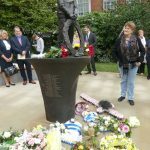 The service and unveiling on 15th September marked the end of a a 38 year fight by the families to first discover the truth and then raise the money for a fitting tribute. 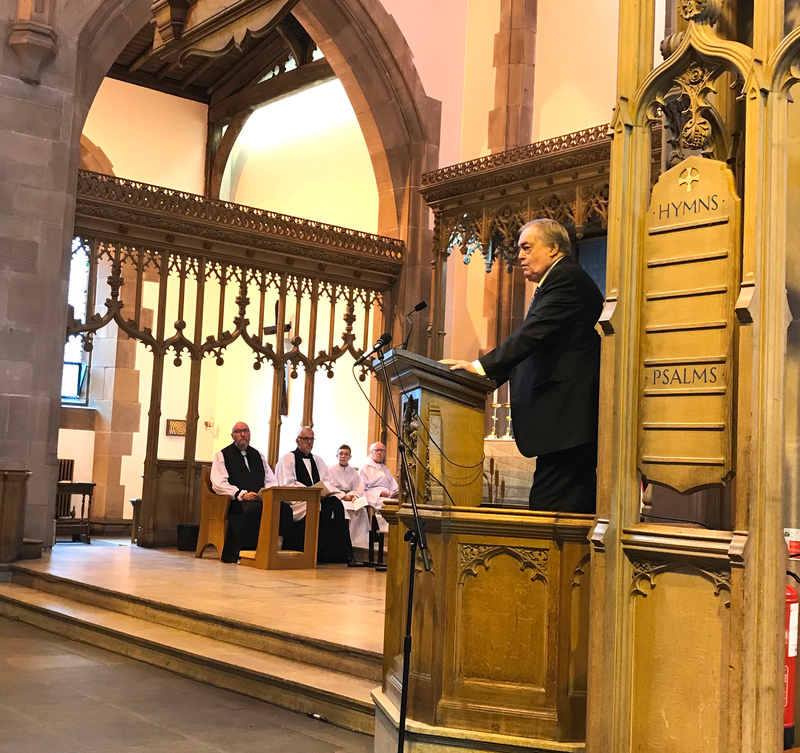 John Prescott, who assisted them in getting the inquiry reopened and has been a vocal champion of both their cause and improvements to safety in shipping, gave a passionate speech to the packed church. 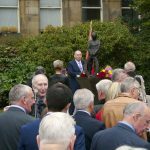 Guests were then invited into the church grounds for the dedication of the garden and unveiling of the sculpture.